Three positions can be printed on the white Rodd Ballpoint Pen, which is styled with funky ergonomic rubber grip. 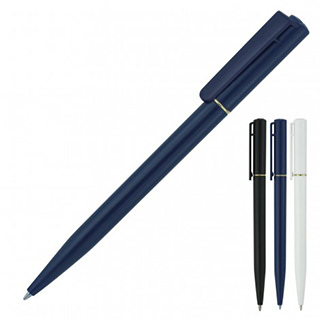 The push button, retractable ballpoint delivers quality black ink from a 1.0mm nib. Promotional logo can be pad printed to barrel or clip, and screen printed to the lower barrel to create an impressive corporate gift at an affordable cost.